“Dedicating The Dream” is dedicated solely to sharing Michael Jackson’s message of Universal Love and personal truth through the global charitable distribution of his book, “Dancing The Dream” to schools, children’s hospitals, shelters, and other organizations, as well as to individuals who may not otherwise have the means to obtain it.If you would like to contribute books for distribution, or request books for individuals and/or organizations in your area, please contact Sirenlovesmj or visit the website. 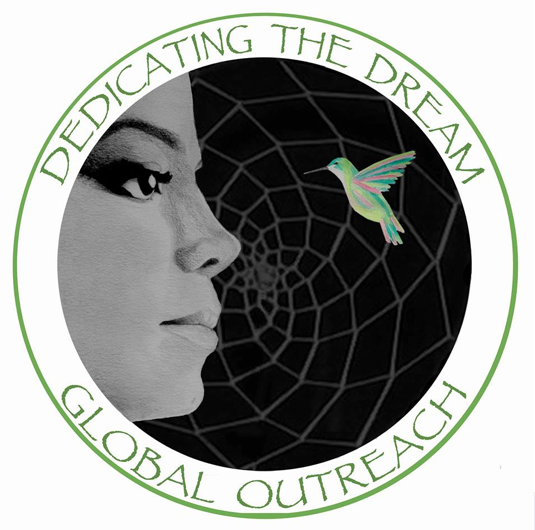 Dedicating The Dream is committed solely to sharing Michael Jackson’s message of Universal Love and personal truth through the global charitable distribution of his book, “Dancing The Dream” to schools, children’s hospitals, shelters, and other organizations, as well as to individuals who may not otherwise have the means to obtain it. 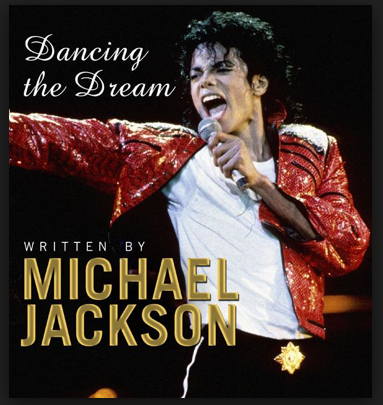 Many books have been written about Michael, but “Dancing The Dream” are his feelings, his words, his life. Please consider this worthwhile cause to the benefit others who have not read his beautiful words that came from his heart. I would like to introduce everyone to Siren whose Michael inspired artwork is truly awe-inspiring. She is an exceptional human being who donates her time and effort to Michael and everything he stood for and I would like thank her for taking this time to answer some questions about her amazing Michael Jackson pieces and the amount of time she spends doing so many wonderful things to support his legacy, she is a paragon of love and one can see and feel that her talents exude all things Michael in every aspect. SGAA: Siren, I have followed your beautiful artwork of Michael for some time now, and the essence, or shall I say the aura of Michael is in every piece you do, how did you begin drawing Michael and how are you able to achieve this inner peace he has in your drawings? Siren: Thank you for your interest and for inviting me to do this interview. I appreciate it so much. How am I able to achieve Michael’s inner peace in my drawings? First of all, thank you from the bottom of my heart for that amazing compliment. For me personally, the greatest satisfaction in sharing my art is when someone tells me how it makes them FEEL. If there is any way in the world that my art can connect people with Michael’s energy, his Love… well, I couldn’t ask for any greater reward. I think Michael said it best when he said: “I believe that all art has as it’s ultimate goal, the union between the material and the spiritual… the human and the divine”. When one creates – not just visual art but any of the arts; dance, poetry, music, any way in which the soul expresses itself – it really is like a channeling of sorts. In order to capture emotion… the spirit of something… one must connect with it. If one opens themselves to the energy of what they are expressing, it will come through. You just have to surrender to it. Anyone can do it. I really believe that. SGAA: When did you start drawing and/or painting? Siren: Well as I mentioned, I began drawing as a child but I never really was the type to venture outside my comfort zone, so I stayed faithful to my pencil until about 5 months ago when I began to experiment with paint. I took about 4 classes in acrylic painting and learned some basics, which I really enjoyed. I work with acrylic and watercolors a fair bit now. It has opened a whole new world for me. SGAA: How do you choose the work or does it choose you? Meaning the pictures of Michael, do you select them intentionally or do you just see a pose or a photo of MJ that draws you to it at the time? Siren: Oh it’s definitely impulsive. I rarely sit down with the intent to draw. The images find me, usually when I am catching up with things online. They jump out at me… the beauty of their lines, and the emotion in them… they captivate me. I can’t say no. It makes it hard to get other things done sometimes. You basically have to drop everything and just let the moment have it’s way with you. SGAA: You show us progress of each of your pieces of work, is that cathartic for you and does it make it easier to complete the work by sharing it step by step? Siren: Yes, I usually take progress photos as I work. I find that I get so involved with the feeling of the piece, that it is sometimes hard for me to actually see what I am creating. Taking a photo helps to separate me from it for a moment so I can view it with a more critical eye. Sometimes I find the progress photos just as beautiful as the finished works, so I often will share them. Seeing artwork in a simpler form seems to reveal something pure about it. I feel like it offers the viewer an opportunity to see it in a whole different light. SGAA: I totally agree with you. I have seen some of your work at the beginning stages and they are so lovely. I wanted to ask you why you have been drawn (excuse the pun) to paint Michael? Siren: Michael was a remarkable human being and remains, in my opinion, the most influential, impeccable role model of all time. If one is looking for an example of how to live a life of selflessness, compassion, strength, integrity, authenticity, responsibility, generosity, perseverance, passion, and brilliance, one needs to look no further than Michael Joseph Jackson. It’s unfortunate that most people missed the genuinely beautiful person that Michael was, and all He did to impact humanity and our planet. 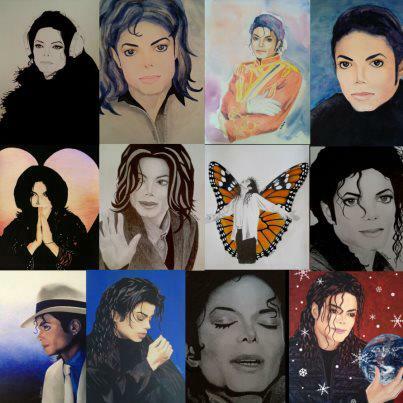 SGAA: I know that everything that you draw or paint are all on behalf of Michael and in his name. A portion and sometimes all the earnings you make on the sale of your pieces go to specific charities. We all know that a lot of people use Michael’s name for untoward causes yet you are giving your time and talent to causes you believe. What made you decide to do this rather than make a revenue for yourself personally? Siren: What I have, he has given me. It’s the least I can do. As I said, he has literally transformed me. How one could witness someone like Michael and not be profoundly affected seems impossible. Michael genuinely loved humanity. He dedicated his entire life towards helping and healing others. There is so much beauty in that. I want to be that Love that he demonstrated. Michael believed our salvation lies in the hearts of our children… and I agree. Most of the charities I give to are orphanages and children’s hospitals. I think if we can teach our children that they matter, that they are Loved, and that Love expands beyond our own families to include all of mankind, then we really are only one generation away from achieving world peace. I want to contribute in any way I can to help heal our planet, but I also want to help preserve Michael’s legacy. They say actions speak louder than words. So many are so closed to hearing the truth about Michael… but what if someone’s heart could be opened to him by witnessing the work others do in his memory? I want to be a part of that in whatever way possible. 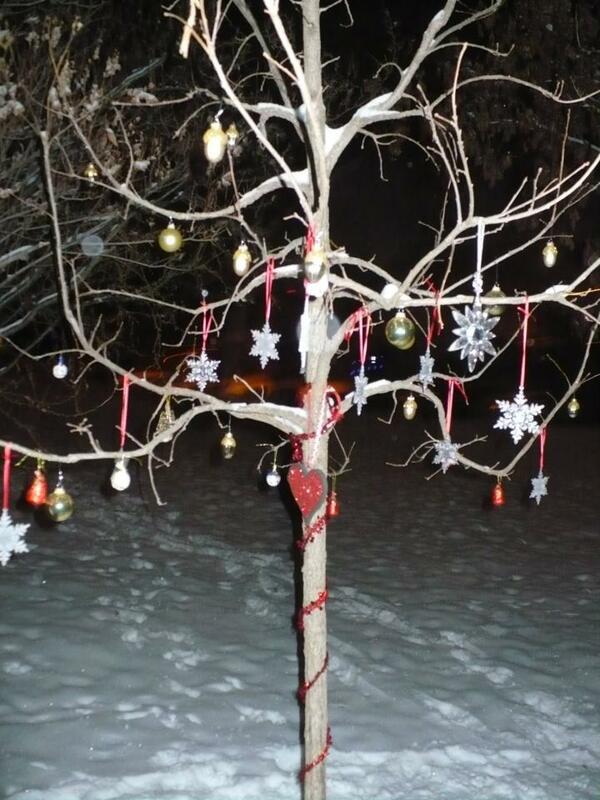 SGAA: Siren, one thing that I love that you did, is plant a tree for Michael near your home and decorate it with each season that passes with some beautiful ornaments and candles, etc. I love this idea and am planning to do it myself, what was your thought behind this? Siren: Oh, I hope you do… I think there should be a tree for Michael in every city in the world! The idea of planting the tree came from my dear friend Brenda Jenkyns. We had returned home from a trip of visiting Michael’s places in California and began talking about how we wished we had somewhere in our own city where Michael was remembered. We decided that if there was going to be one, then we would have to create it, so we did some research and discovered that our city parks department has a “Tribute Tree” program where you can purchase a tree in memory of a loved one and have it planted in one of our public parks. 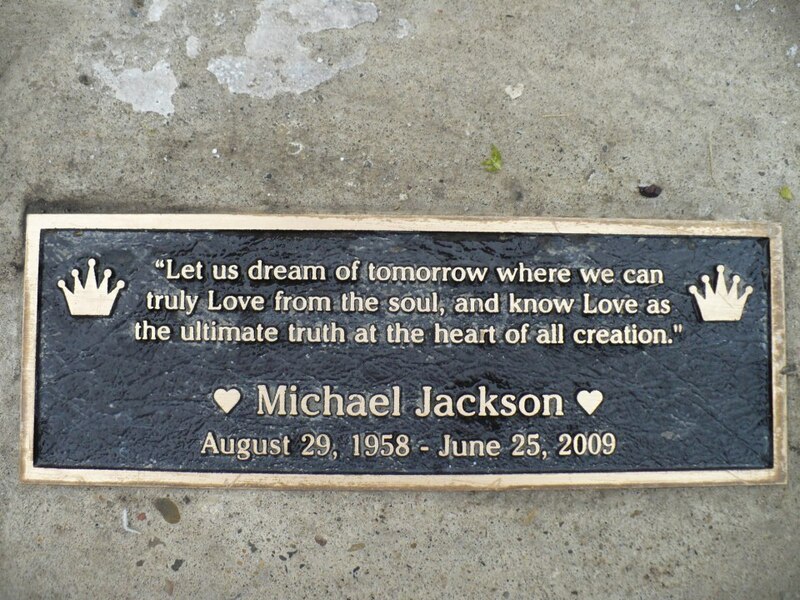 We also had a plaque made which the city installed for us under Michael’s tree with his name and his quote “Let us dream of tomorrow where we can truly Love from the soul and know Love as the ultimate truth at the heart of all Creation”. We did a little ceremony when the plaque was placed and we were even able to bury some special items for Michael underneath it. It was really intimate and beautiful. That little tree means a lot to us. We love to think of people passing by reading Michael’s name and his message… it’s important to us. SGAA: Brenda Jenkyns – is that the author of the beautiful children’s book Ever After? Siren: Yes, Brenda is the author of two children’s books about Michael. Her first book, Ever After, is the story of Michael’s life which is intended to inspire children to follow their dreams. Brenda has recently released her second book entitled Forever Loved, which is a beautiful story about Michael’s purpose and continued impact on the world since his passing. SGAA: I have ordered a few pieces from you Siren and in my orders I always receive some “Love cards” and each one of them has a picture of your many paintings and a quote of Michael’s, why do you send these out with every order at no charge? Siren: Those cards are one way in which I attempt to help contribute to Michael’s legacy and share his truth. They are intended to be left in places for others to find in hopes that they will read Michael’s message and want to learn more. If even one person found one of my cards and were changed by Michael’s words it would be worthwhile. Whether His message triggers something in them that inspires them to make a positive change in their life, or opens them to the idea of Universal Love, or even if it just makes them reconsider who they think Michael Jackson was… imagine the impact of that! I love to think about the ripples that would result. It drives me to do more. SGAA: You have your artwork of Michael but there are many other things that you do in Michael’s name, could you name a few? Siren: That’s a hard question for me to answer. I don’t like to talk about the specifics of what I do, really. I think giving should be a humbling experience, free of any self-serving motivators. What I will say is that no matter how we choose to give back to the world, the most important and most powerful thing we can offer is Love. It is my ultimate goal to be mindful of Love in all my interactions with others and in everything I do… and that motivation comes from Michael. I really feel that is the most imperative way in which I can honor and preserve his memory, and how I can best contribute to making the world a better place. 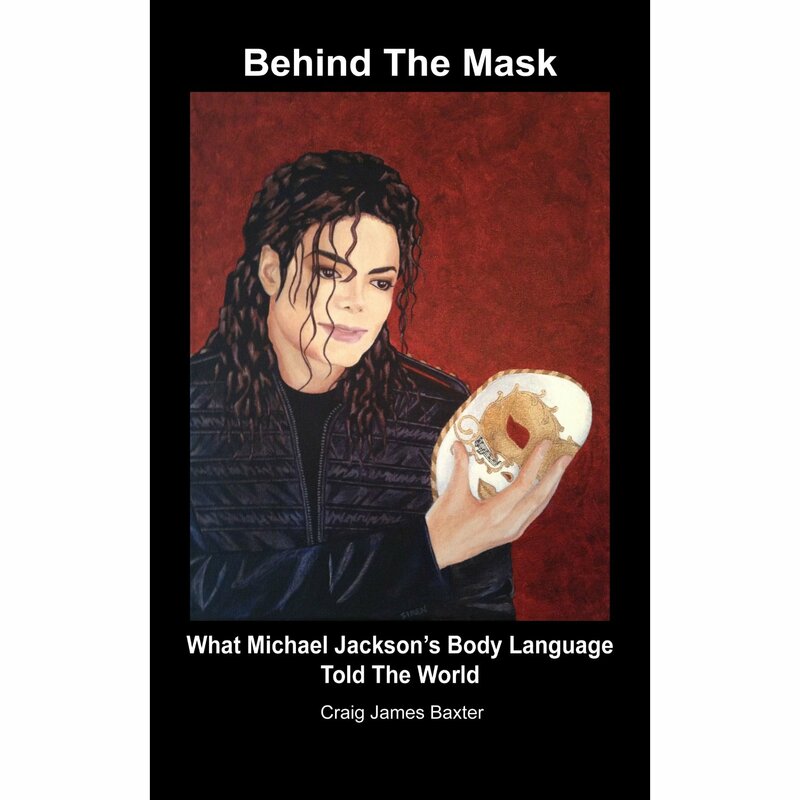 SGAA: I recently purchased Craig J. Baxter’s book Behind the Mask: What Michael Jackson’s Body Language Told The World and I know that beautiful cover was done by none other than yourself. How does it feel to have a piece of your own as the cover of a bestselling book? Siren: I am really grateful to Craig for allowing me to be a part of his book. It is so important to me that Michael’s truth be told. To be given the opportunity to contribute to that is a great honor. I really commend Craig for helping to educate people about the kind of human being Michael was, and for sharing his expertise to expose the facts and enlighten a public who have been intentionally mislead for decades. I appreciate him immensely. Craig is a wonderful person. SGAA: Yes he is and I am glad you got that opportunity to have that beautiful piece of art on the cover. 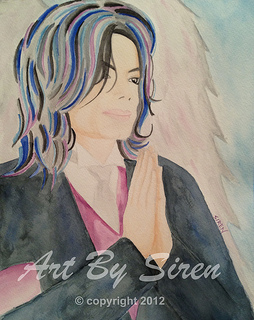 I would like to thank you so much Siren you are a true inspiration and you honor Michael’s legacy with every piece you paint/draw as well as every deed you do in his name. God bless you! Please Note: 100% of Siren’s proceeds from her print sales and 25% of her commissioned works are donated to charities in Michael’s name. Siren has many beautiful pieces but I would like to add my personal favourite by Siren to this post. It is called “Angel of Mercy” and you can purchase this and many others on her website. I urge everyone to take a look at her work and I know you will be as impressed and inspired as I am.